MathChat is an interesting new iPad app that I discovered recently. As its name indicate, MathChat is an app that allows students to collaborate and work together on math problems. This collaboration takes place in group chats where members get to exchange messages, use pointers to show how to solve a problem, or draw and add arrows to provide illustration and guidance on Math concepts. 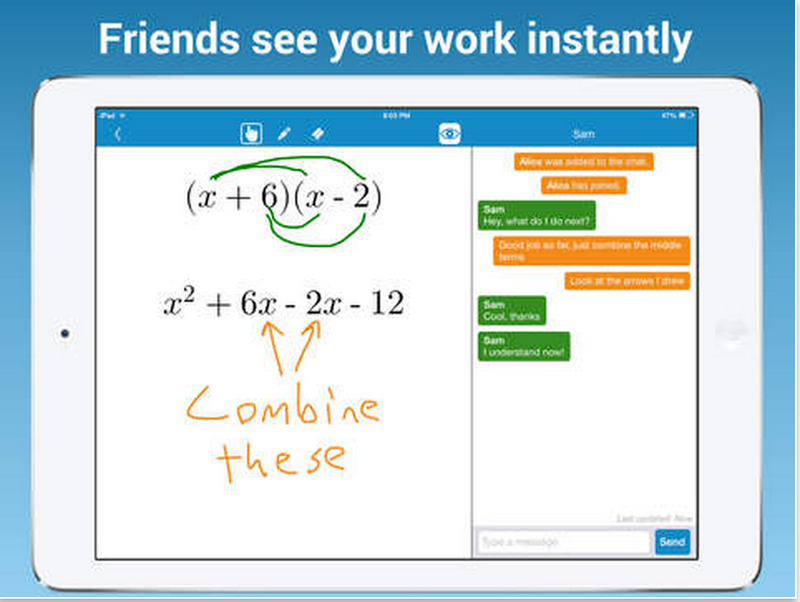 This collaborative feature of MathChat resembles to a great extent the work Whiteboard apps do. MathChat has a specialized math keyboard that enables you to easily enter math problems, including fractions and exponents. When you add friends to help with the problem, they can message to help and also draw on the screen. MathChat can check your work at every step of the problem, and will give you a reward when you get the correct answer. 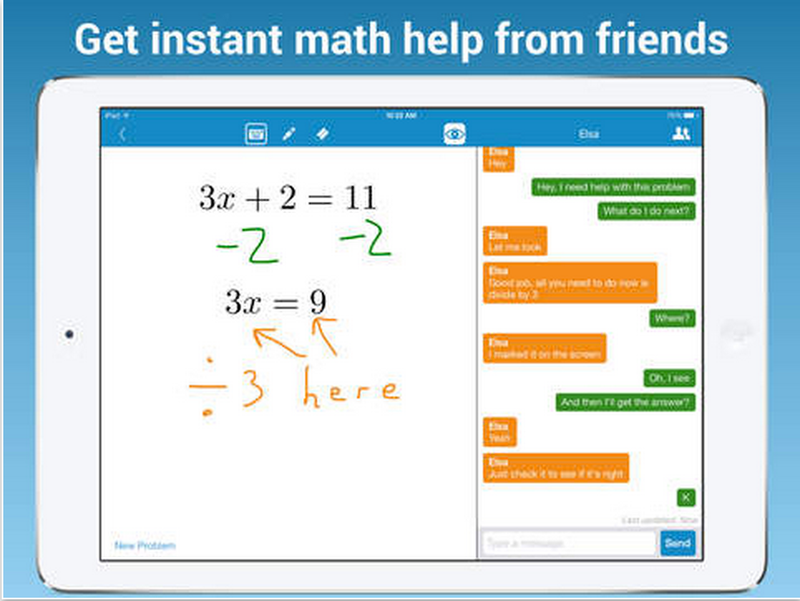 Use MathChat for help on homework, classwork, math practice, tutoring and more. MathChat can help students with homework through feedback on answers and the ability to get help remotely from friends, family members, teachers or tutors. Teachers can use MathChat in the classroom to enable student collaboration and enhance math practice classwork.